Poor sleep can make one feel sluggish and weak. And, poor fitness can make your more prone to infections and other lifestyle diseases. Good sleep also lengthens life span. Research has proved that people who get less than 6 hours of sleep a night have a lower life span than those who manage to get 7 to 8 hours of shut eye. Chronic inflammation has been linked to everything, be it heart disease, stroke, diabetes, arthritis, or premature aging, skin sagging, and early wrinkling. The link between the two was established with a research study that indicated that people who tend to sleep for fewer hours had higher levels of inflammatory proteins as compared to those who slept for more number of hours. 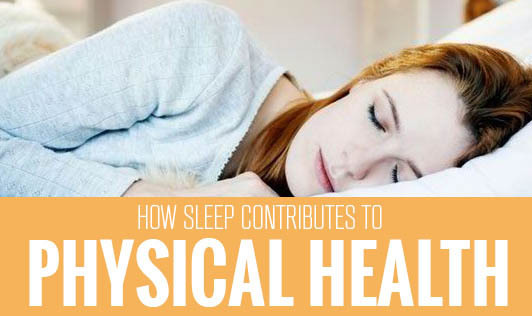 Sleep, stress, and heath are interrelated. If one suffers, the other two take a beating as well. Prolonged stress accompanied by poor sleep can drastically affect cardiovascular health. Good sleep is the perfect solution for both. A good 6 hours helps to control blood pressure and cholesterol, both of which are essential for a healthy heart. Poor sleep can also lead to higher levels of cortisol, the stress hormone that slows down the healing process in cases of injuries. Low cortisol levels are also bad for the memory. This is true for people who tend to travel a lot, especially via road. Driving after insufficient sleep can be as harmful as driving under influence of alcohol. It slows down the brain and lowers reflex. It also affects decision making and response time. Remember that driving under such circumstances cannot just be harmful to you but to your family as well. These benefits are not magical, but definitely contribute to a fit and healthy life in the long run.